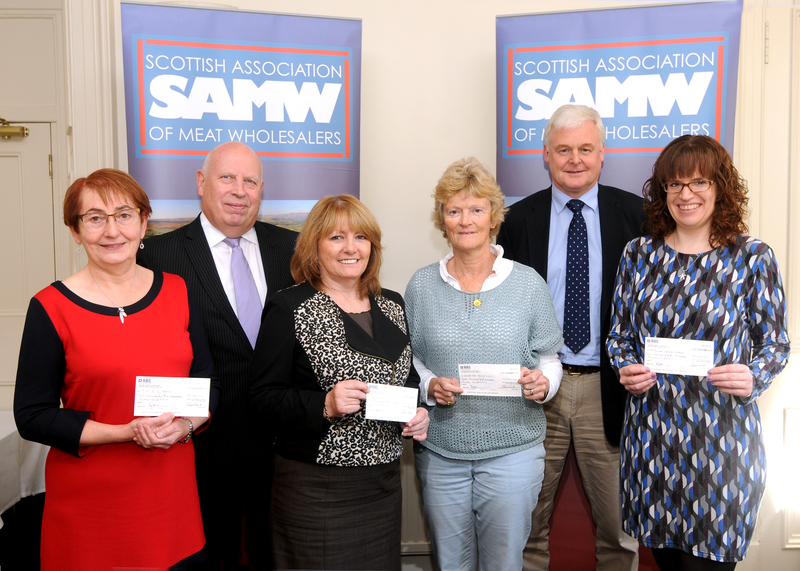 Five major charities have shared a total of £13,000 in gift support from the Scottish Association of Meat Wholesalers (SAMW). (L-R) Dr Rosalie Wilkie, TCCL Lodge; Ian Anderson, SAMW executive manager; Fiona Scott, Quarriers; Penny Dickson, The Sandpiper Trust; Alan McNaughton, SAMW president, and Jayne Forbes, Macmillan. 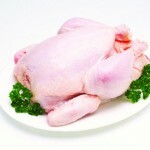 (The presentation to Beatson was made separately). 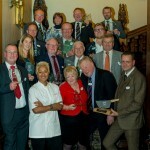 The funds were raised during a charity auction at the association’s 2015 conference and dinner and were presented to representatives of the organisations by SAMW president, Alan McNaughton, and executive manager, Ian Anderson. “We’re delighted to have been able to distribute a record amount to five extremely valuable charities as a result of the generous contributions made by association members and guests at our annual dinner earlier this year,” said McNaughton. The five charities to receive SAMW support this year are Quarriers, The Sandpiper Trust, Macmillan Cancer Support, TCC Lodge and Beatson Cancer Charity.